The Tiree to Oban route connects the island of Tiree in the inner Hebrides of Scotland with Oban in Argyll and Bute on the Scottish mainland. 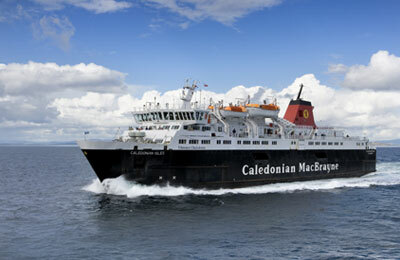 The ferry route is operated by Caledonian MacBrayne - commonly known as CalMac. There are up to 2 crossings per day and the crossing time is approximately 3 hours and 45 minutes. This route accepts foot passengers and vehicles. With AFerry we always give you our best prices for ferries from Tiree to Oban. No matter which page you book from we always include all our special offers. And there is no need to look for a discount code. If we have an offer available, your ferry price will include the reduction or offer. There's no need to look at other websites. If you're not sure if the Tiree to Oban route is right for you or you can't decide between ferry companies, if there is more than one, you might also find it useful to read any reviews we have available. We ask all our customers to send us reviews for Tiree to Oban ferries. Remember though, that the earlier you book, the cheaper prices normally are. So don't spend too long deciding! Tiree to Oban is a popular route, so we advise you to book as soon as possible. Tiree is the most westerly of the Inner Hebrides islands. 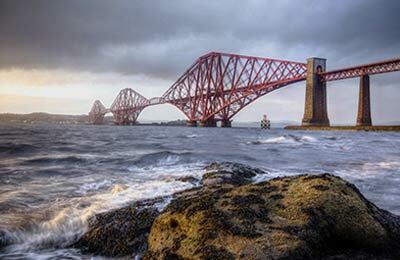 Unlike some other Scottish islands it is very flat - in fact it is not much above sea-level. Perfect for walkers who don't want to strain themselves too much. The island is also famous for having the highest levels of sunshine in the British Isles. In fact, overall the weather, despite what you might first think, is very mild. The gulf stream means that frost is rare and that summer evenings are warm and pleasant. You'll also find beautiful long sand beaches to explore and because the island is fairly windy it's also great for wind-surfers. The landscape is unspoilt and you'll find an abundance of birds and other wildlife as you trek along the long unspoiled coastline of this charming and sunny Scottish island.